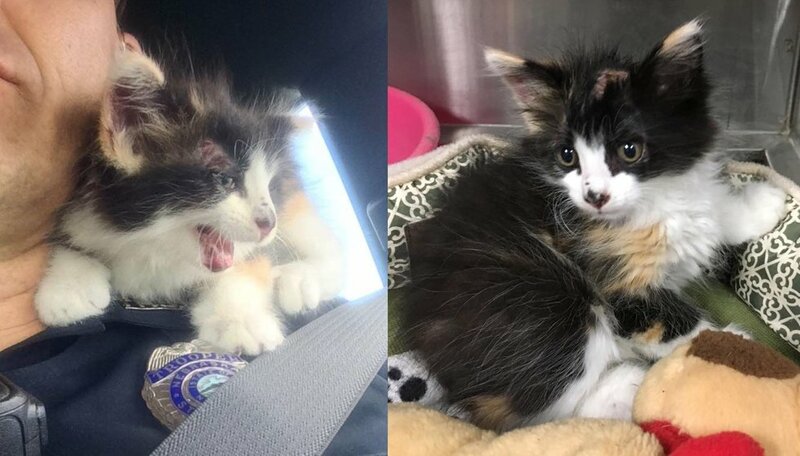 A family that was traveling in Nebraska, stopped on the highway when they found a kitten in desperate need of help. A State Trooper contacted them when they had parked on an off-ramp. 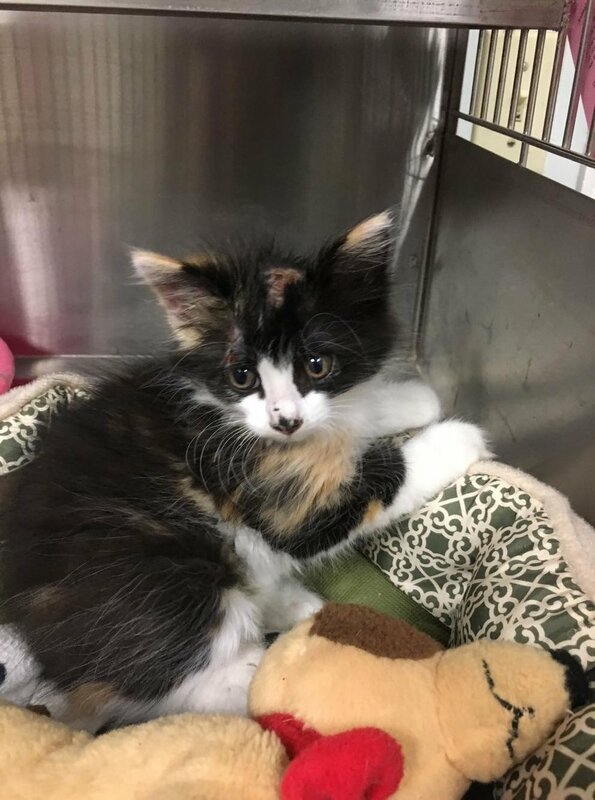 The family from Ohio was driving on Interstate 80 when they saw a tiny calico get thrown out of a moving vehicle. 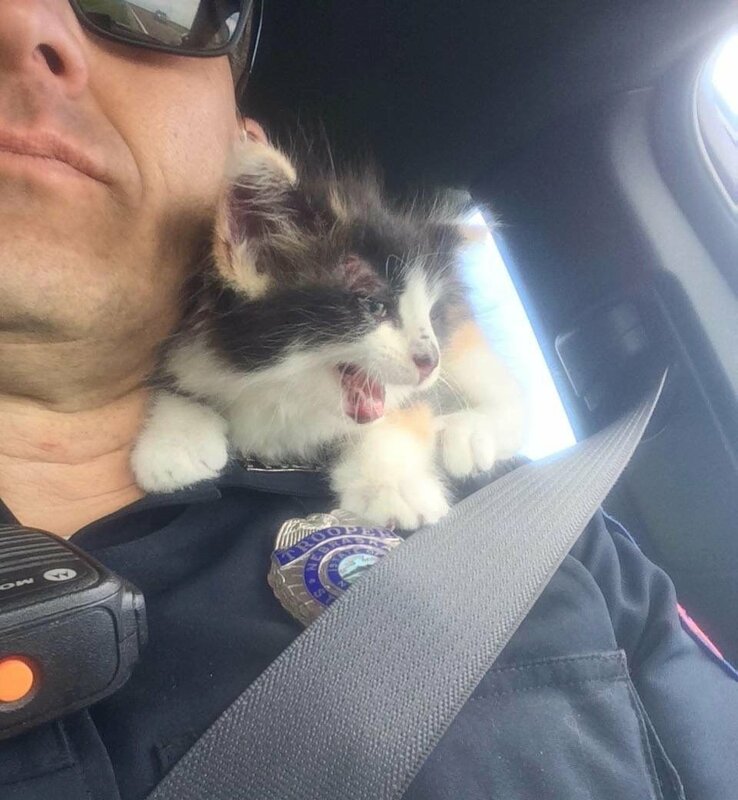 In utter shock, they turned around and rushed to the kitten’s rescue. Trooper Greg Goltz happened upon them as they were parked. 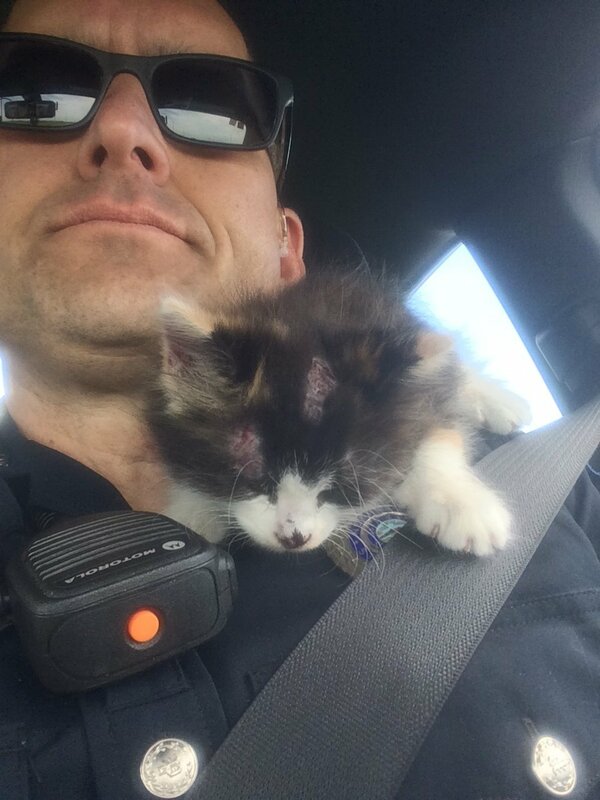 After the unthinkable ordeal, the kitten snuggled up on her rescuer’s shoulder for some much-needed comfort. Goltz took the kitten to Aurora Adopt A Pet, a local rescue in Aurora, Nebraska, so she could be seen by a vet. The little kitten was scared when she arrived, but volunteers took turns spending time with her and giving her all the cuddles she wanted. 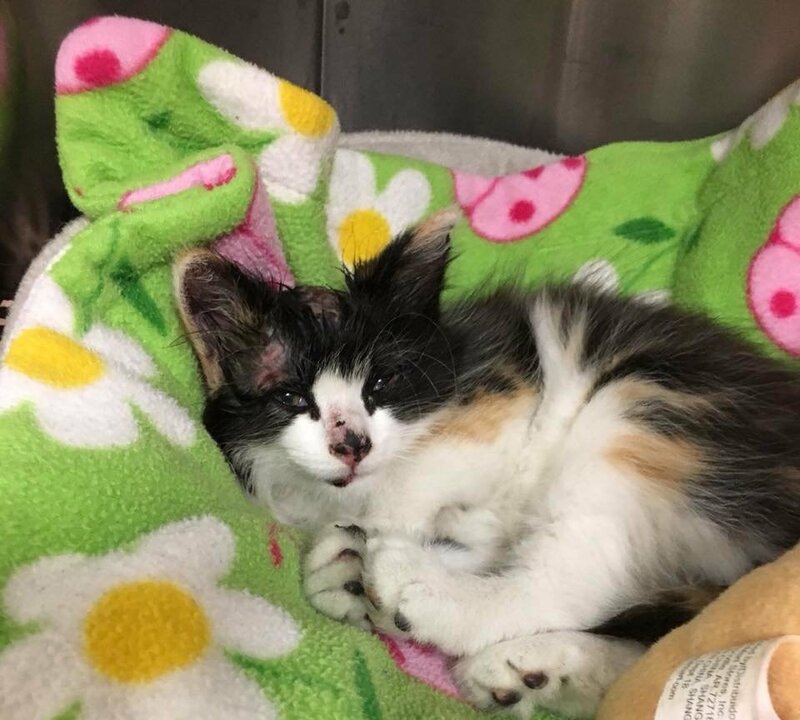 “She is a very young kitten and was traumatized – having been thrown out of a car. 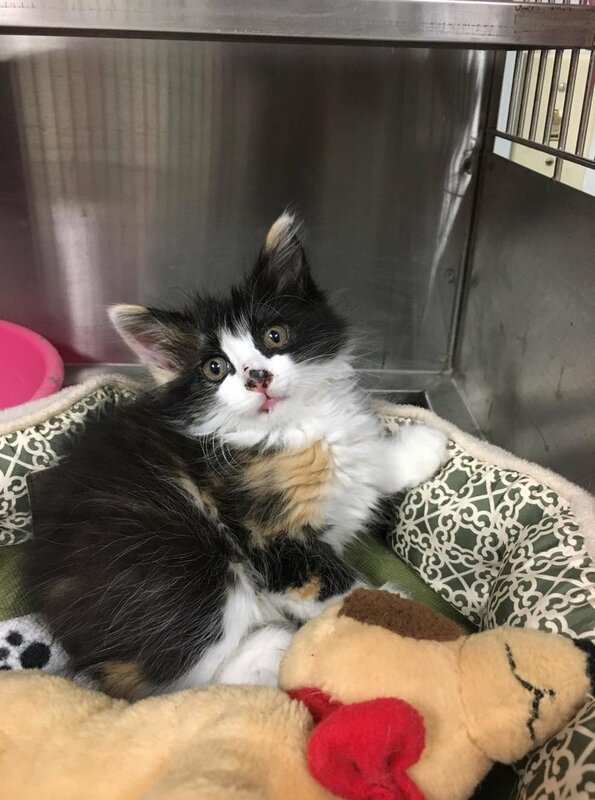 She is currently at the shelter and is being monitored by our veterinarian,” Kathy of Aurora Adopt A Pet told Love Meow. Many people have offered to adopt Tumbles after they learned about her plight. The rescue has had a home lined up for her. As for now, Tumbles is recovering and being cared for by wonderful volunteers at the rescue. Despite the ordeal, the sweet calico continues to cuddle and trust. With help from everyone involved in this rescue, Tumbles will have a forever home where she will be loved and spoiled. Share this story with your friends. Follow updates on Tumbles on Facebook. If you would like to support their rescue efforts, click here to see how you can help.